“Houston, we have a problem.” A case of cockle déjà vu. It’s happening again! Our wonderful cockles in the Whangateau Harbour are dying in what appears to be an event similar to that in 2009 when 80% of our cockles died. A dead and gaping cockle lies moribund and stinking on the sand surface over the cockle beds off Lew’s Bay in the Whangateau Harbour. In the summer of 2009 Whangateau Harbour residents noticed an awful smell coming off the harbour flats. 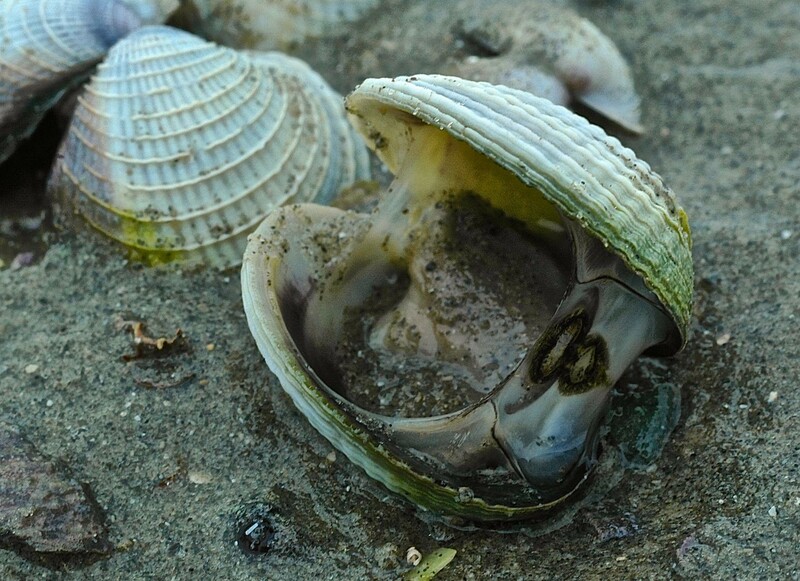 It soon became obvious that it was caused by many thousands (in fact millions) of dead cockles rotting in the sun. The annual survey of shellfish, particularly cockles, on two transects east of Horseshoe Island in the Whangateau Harbour, was successfully completed on Friday 28th March by ten students and several adult helpers. 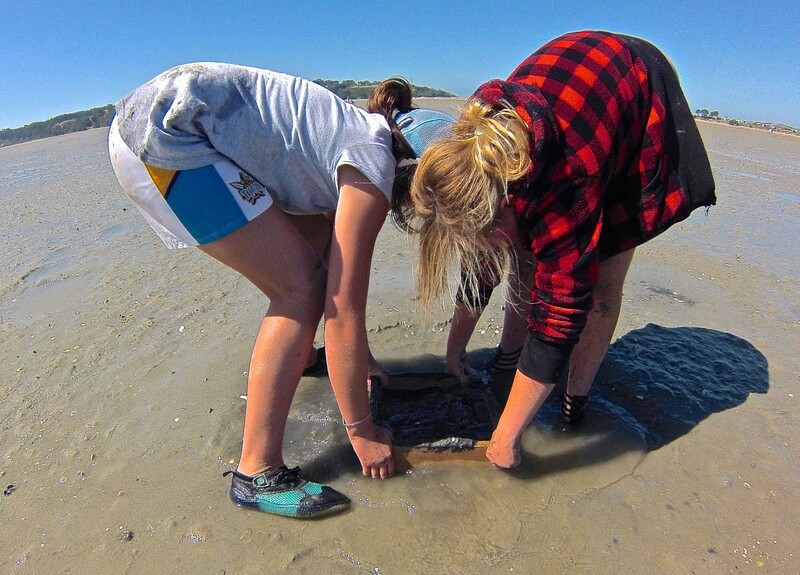 Mahurangi College science teacher Wendy Dunn organized the students into pairs for the task. As the shellfish beds in the Whangateau Harbour are currently closed, a special permit is required to carry out the surveys.